Milk Kefir is a fermented milk product, almost like yogurt, it’s made using Milk Kefir grains. Milk Kefir grains are invaluable gems that have been around for centuries, passed on from generation to generation and safeguarded for the health benefits they have to offer. 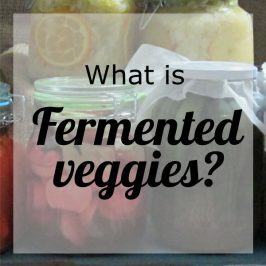 It is said that these treasures come from the Caucasus Mountains, a mountain region found between Russia & Georgia, many centenarians from that region attribute their long happy years to this phenomenal gelatinous “grains” used to ferment milk. ..but really … What is milk kefir? Milk Kefir is a probiotic beverage that’s traditionally made with goats, cows, camel or horse milk, depending on where in the world it’s cultured. 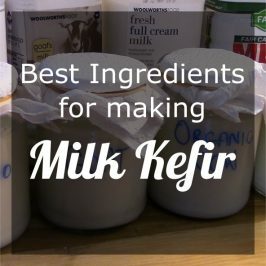 And in recent years I’ve found that Kefir can be made successfully nut milk too. Kefir is made by using your choice of milk and, as mentioned before, a culture called Kefir Grains. Although it’s not grains at all; it’s a complex polysaccharide with a casein core composed of a combination of beneficial bacteria and yeasts (not all yeast and bacteria are bad) that works together in a symbiotic matrix. These grains look like small little clouds or cauliflower florets. See how to make Milk Kefir by going here. Milk Kefir almost taste like plain yogurt, sometimes it may have a tarter taste to it depending on the type of grain and fermentation time. 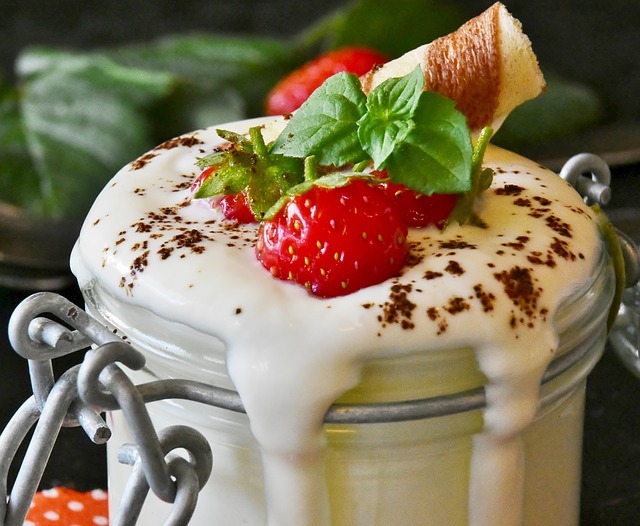 Milk Kefir may not be as thick as yogurt but it has much more probiotics than Yogurt does. 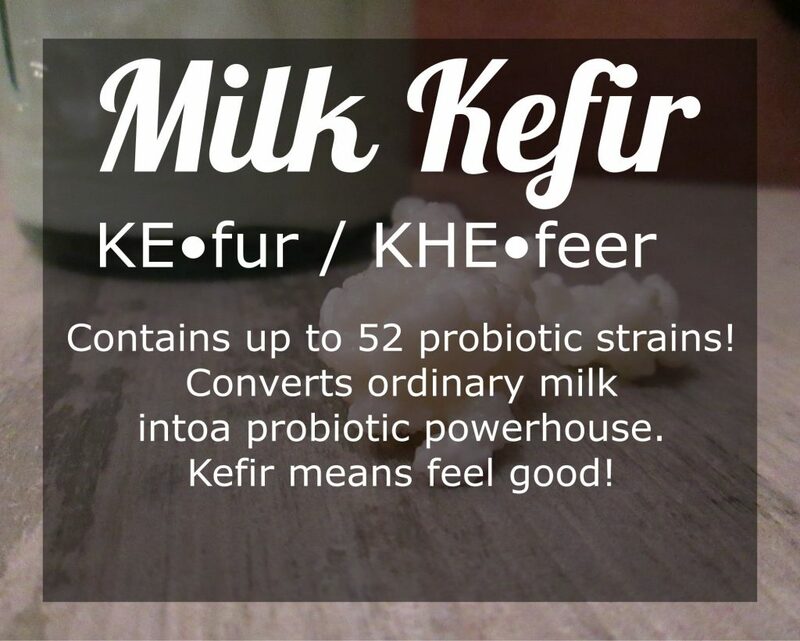 Milk Kefir has up to 52 different strains of probiotics and yogurt may have anything from 3-7 probiotic strains. Some people may ask why the number of probiotic strains is so important. Simply put each probiotic strain has a different function and contributes to your health and well being. 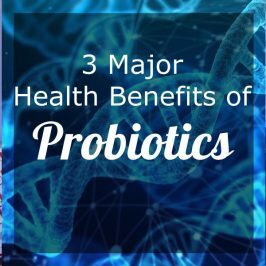 Another reason is that the good bacteria, also known as probiotics, work better in numbers and that’s how they get rid of pathogens and colonise your gut. There’s this study that has been done on the effects pasteurized cow’s milk had on breast cancer cells and the effects kefir vs yogurt had: at a dose concentration as low as 0.63% kefir showed a 29% inhibition of cancer cells and yogurt began to show antiproliferative effects at only 2.5% dosage. Whereas with Kefir at a 2.5% dose, it decreased breast cancer cells by 56%! Very soon after I started consuming Kefir, I’ve noticed many positive changes in my body. I felt more energized, I didn’t feel hungry constantly and my bowel movements became regular. Many people have experienced extraordinary health benefits since drinking Kefir and there are many studies that explain and support their life-changing claims. One study has found that drinking Milk Kefir can fight Candida effectively since Kefir has antineoplastic, antibacterial and antifungal properties. It’s also found that it significantly increases cancer-fighting (NK) Cells. Another study done on mice showed that the consumption showed up to 70.9% inhibition of tumor growth in mice that were inoculated with sarcoma cells. They also found that after 30 days of consuming kefir these mice increased their immunoglobulin A levels in their intestine walls. These results suggest that Milk Kefir may be considered among the more promising food components in terms of cancer prevention and enhancement of mucosal resistance to gastrointestinal infection. 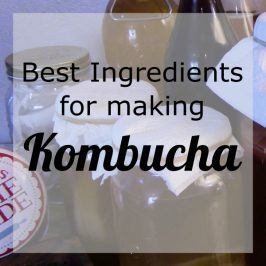 Making kefir is one of the easiest things to do, see how to make Kefir here. 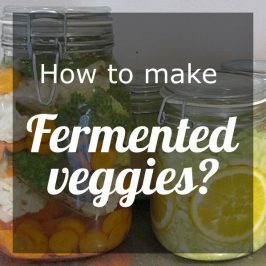 Have you tried Kefir before, are you making it at home? 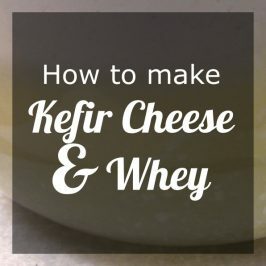 Have your say about your experience with Kefir, I’d love to hear from you! Lewis Lung Carcinoma & Highly Metastatic B16 Melanoma: (2000) Anti-Metastatic Effect of Kefir Grain Components on Lewis Lung Carcinoma and Highly Metastatic B16 Melanoma in Mice.